Mouse users please click on the image above. 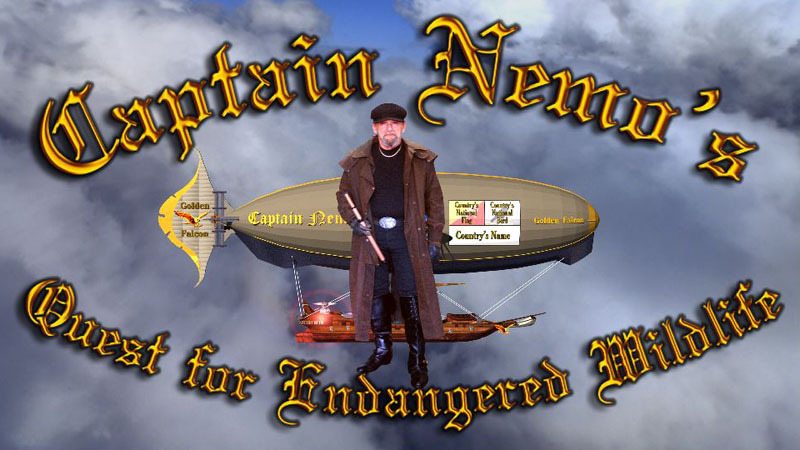 Captain Nemo's Quest for Endangered Wildlife is the main public website for the Marquiss Foundation, a California non-profit educational corporation, dedicated to helping animals in trouble or endangered, here in the United States and around the world. Sign our GUEST BOOK for updates and a special gift. what you can – any amount: just Click Below. This video shows Captain Nemo's logo and his airship, the Golden Falcon. To hear the sound, please turn it up. the Marquiss Foundation HERE . helping abandoned or endangered animals. © 2018 by Robert Marquiss/Marquiss Studios.